tmgroup have today announced the appointment of experienced industry professional Jamie Shah, who will serve as Key Account Manager for the South of England. Having joined tmgroup in March 2015 as business development manager, Jamie has now been promoted to look after Legal 100 firms in the South. With a decade of experience in the property market, Jamie calls upon a wealth of knowledge and expertise and is looking forward to working closely with our existing portfolio of clients to bring them market-leading online property and conveyancing solutions. Having begun his career at Bairstow Eves, an estate agency part of Countrywide Group, Jamie was then head hunted by CLC-regulated firm Fridays Property Lawyers and managed a sales team of a dozen people there for 3 years. 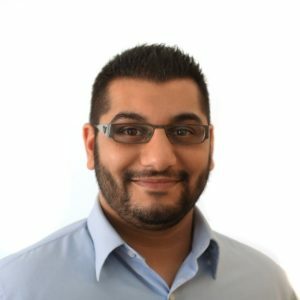 Jamie then worked with foreign investors in Canary Wharf at high-end residential estate agency Felicity J Lord and, most recently before joining tmgroup, was at unique start-up company Lifetime Legal helping to bring estate agents and property solicitors closer together.